Mercedes-Benz USA is recalling eight model year 2018-2019 GLA-250 and GLA250 4MATIC vehicles. An incorrect rear seat back covering carpet could have been installed on the split-rear seat back. As a result, the child seat anchorage point (top tether) on the center positon of the rear seat may be covered and inaccessible for use. If the upper anchorage point is covered, the child seat will not be able to be secured as intended in the center position of the rear seat, increasing the risk of injury in the event of a crash. Mercedes will notify owners, and dealers will check the rear seat back covering carpet on the affected vehicles and replace it if necessary, free of charge. The recall is expected to begin April 26, 2019. 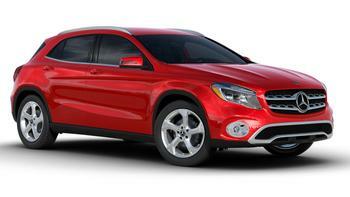 Owners may contact Mercedes-Benz's customer service at 1-800-367-6372. Mercedes' number for this recall is 2019030003.